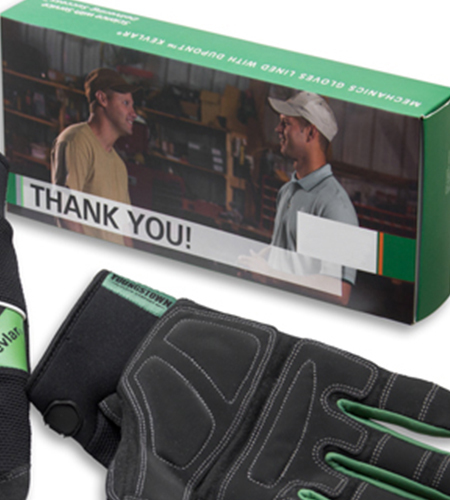 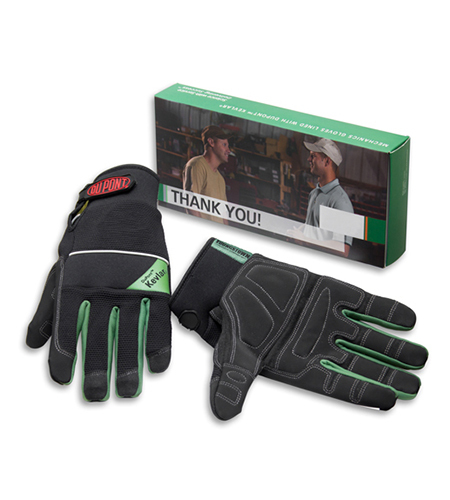 The client selected Global Sourcing Connection’s custom designed mechanics glove for their Customer Appreciation Gift Program. 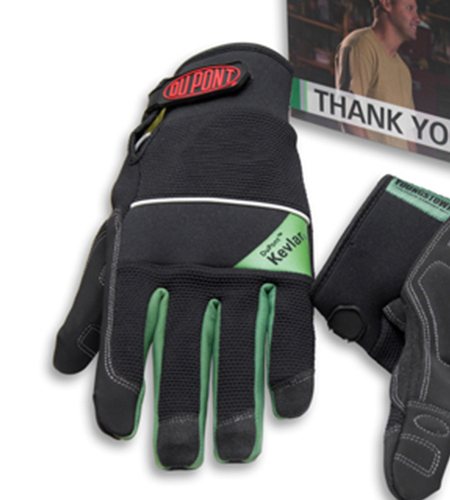 Gloso proposed utilizing both DuPont™Kevlar® and Teflon® products to create an innovative cross-marketing opportunity for their client. 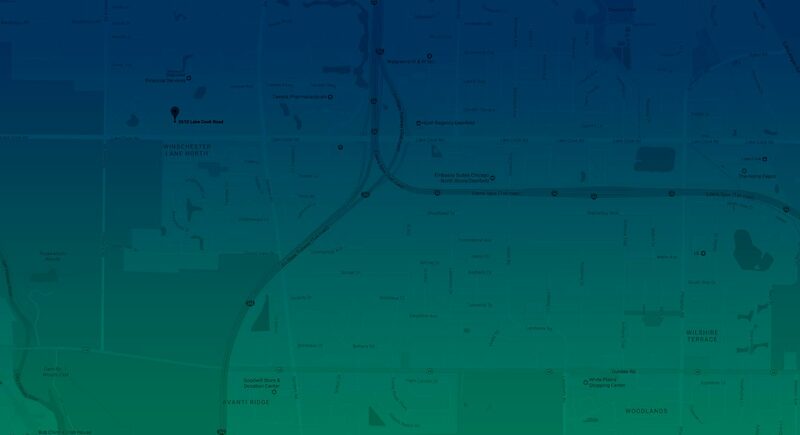 Gloso purchased over 50 kilograms of Teflon® and 12,000 yards of Kevlar® from DuPont® for this project. 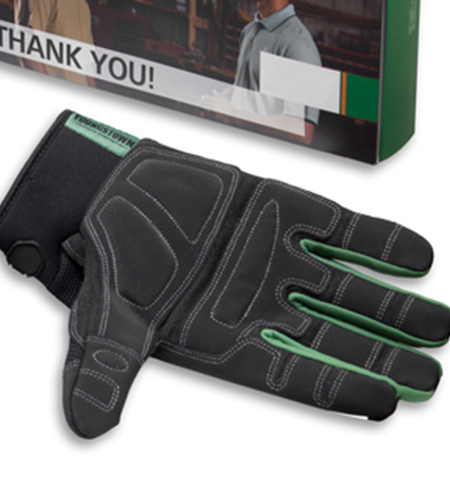 According to the client, this glove helped reduce hand injuries by over 22%.